The Zimbabwean internet landscape continues to change every year, with the various local internet providers making some efforts to improve their products and services. The good news is that as another year draws to a close, Zimbabweans have access to a fairly diverse set of services and internet options. The question that a lot of internet users ask is which of these service providers offers the best Zimbabwean internet experience. The answer for that is determined by a lot of factors which include availability, cost, speed and reliability of service. For most people, the issue of cost, however, seems to determine a huge part of the decision on which provider to choose. It’s a strong determinant largely because the internet is still an expensive commodity. We recently published an overview of Zimbabwean internet prices in an article that gave a summary of most, but not all of the services on the market, and included mobile broadband services. 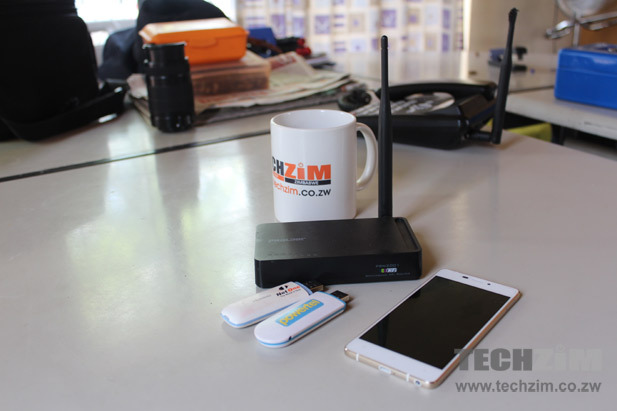 With a lot of people seeking a full comparison of what their money can get them we created a page that offers a comparison of home internet packages offered by Zimbabwean internet service providers. The options, displaying price and package information, are listed according to the service provider as well as the type of internet (3G, ADSL, Fibre, VSAT, WiMAX). Other than the broadband packages from the mobile network operators, the other internet alternative not listed on this page is the WiFi hotspot option, which can be found by following this link to a previous WiFi hotspot article. You can access the page to these home internet packages by following the link provided in this article, or by clicking on the link provided on our page. We hope the information provides a clearer view of what is available for anyone looking for an internet solution in Zimbabwe. Here’s the link to the comparison of Zimbabwean internet packages. So if my speed is “up to 10mb” how come I cant pay “up to $89″…. Where are Netconnect, Aptics, iWay Africa and Zarnet? Aptics still sells kpbs packages in this day and age, never heard of Netconnect which apparently sells dial up for 42 dollars. Zarnet are not selling anything right now.